A new year is upon us yet again and everywhere you turn it seems as though people are coming up with their new years goals or resolutions again. I for one do not wait until the new year to make my goals. However, I do use the new year as a time line to start thinking about my homestead garden again! I love dreaming about my garden in the cold winter months. Did I mention that it is currently 4 degrees outside right now? Well it is. Oh it was colder this morning…only -10! It’s a good day to be in the house. As I think of those things that I am hoping to accomplish in the new year I really am fixated on food and storage this year. Last year we had a very difficult time keeping our grocery budget in check after our freezer went down. The freezer took with it a quarter of a steer and a half of a hog, which was pretty much our entire meat supply except for our chicken. We lived sparingly on meat for the next three months and went meatless on several occasions. Now thankfully those freezers are full again and we are enjoying meat choices! It also really humbled me to make sure I used every part of meat available on that particular cut. This would be where storage necessity comes from. The other reason I have been prompted to focus on food storage is my canning shelves. They seem to be a bit disorganized and I really would like to ensure that I am not purchasing anything that I could have stored in my home. With garden plans in full swing it seems only fitting to make food and food storage a priority. I’m also trying new things! 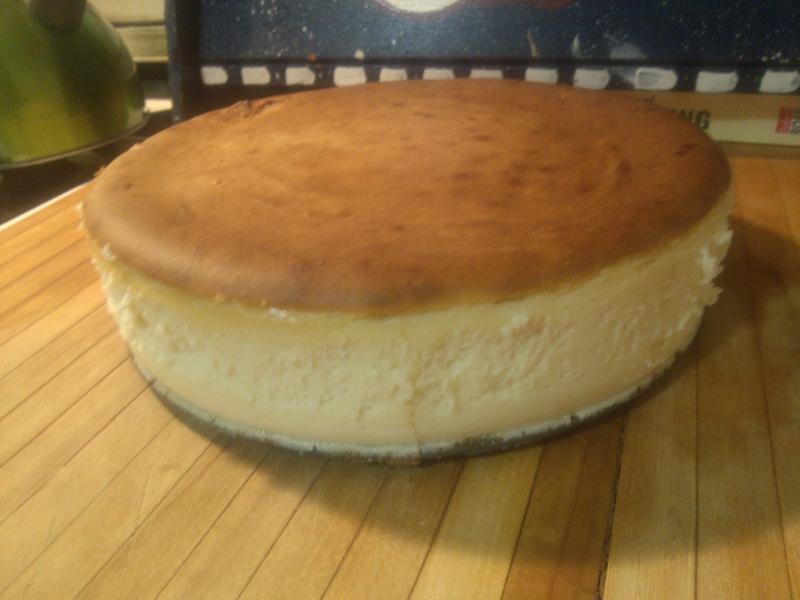 Thus my first success…my very own homemade cheesecake! This cheesecake took several hours, 5 to be exact, and tasted as goid as it looks. Here’s to trying new foods in 2015. Make this the year that you start something new for you! Homemade cheesecake! Something new from my 2015 homestead.